Well, I'm finally getting up and around. When I was planning my surgery, I had visions of being propped up on the couch with my laptop, catching up on all of my blogging and reading a book a day. What I've found out is that after surgery, you don't feel like doing anything. I mean, I have literally not wanted to do anything. I have watched untold amounts of Love It or List It and The Big Bang Theory, two shows I have never watched before. I've had my Kindle within reach, my laptop right beside me, but I have had very little interest in turning either on. But this week I am finally starting to feel like myself again. I've finished a couple of books, and I've been getting the house packed up. Moving day is Friday. I'm kind of dreading the move, I don't usually enjoy this much change. New job, surgery, had to put my dog to sleep, youngest daughter graduated (hello, empty nest! ), and a move. It's been a lot to process, and I've had too much time on my hands for the last two weeks to think about all of the changes, when my M.O. is usually to keep busy all of the time. I added a few new good books this week, and as I was writing this I noticed two of them have very similar titles. 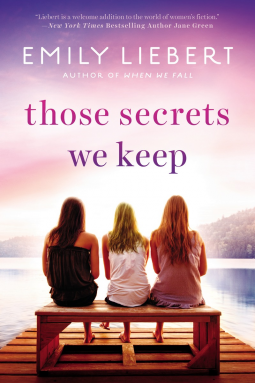 The Secrets We Keep and Those Secrets We Keep - couldn't have picked two closer titles if I tried! Mike always walks the dog in the evening while Elizabeth relaxes in the bathtub--but one night he doesn’t come back. Mike has drowned while saving a teenage girl named Kate, his dog standing on the bank barking frantically as the police pull his body from the water. But despite her husband being lauded as a hero, Elizabeth can’t wrap her mind around the fact that Mike is gone--and Kate won’t reveal the details of what really happened that night. Elizabeth finds herself facing the unfathomable possibility that she may not have known her husband at all. Does she really want to know the truth? Or will the weight of Mike’s secrets pull her under? Charlotte Mackintosh is an internationally known bestselling romance writer who has no romance, and remains a mystery to her fans. In fact, she has little in her life besides her work, her pampered cats, and her secluded home off the coast of Washington. 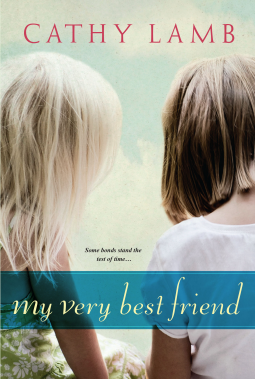 And then there is her very best friend, Bridget, who lives in Scotland, where Charlotte lived until she was fifteen. Bridget, whom Charlotte hasn't seen in twenty years, but continues to write to—though the replies have stopped. Hurt by the silence, an opportunity arises to find answers—and maybe much more. Charlotte must finally return to Scotland to sell her late father's cottage. It was his tragic death when Charlotte was fifteen that began her growing isolation, and the task is fraught with memories. But her plans are slowed when she's confronted with the beautiful but neglected house, the irresistible garden—and Toran, Bridget's brother. Capable and kind, Toran has the answers Charlotte seeks. And as she is drawn deeper into the community she thought she'd left behind, Charlotte learns not only more about her dear friend, but about herself—and discovers a new and unexpected path.